Which of the followings are true about physical change? The correct answer is “I, II and IV Only”. The correct answer is “I and IV Only”. Which of the followings are true about chemical change? The correct answer is “I, II, III and IV”. The correct answer is “III and IV only”. 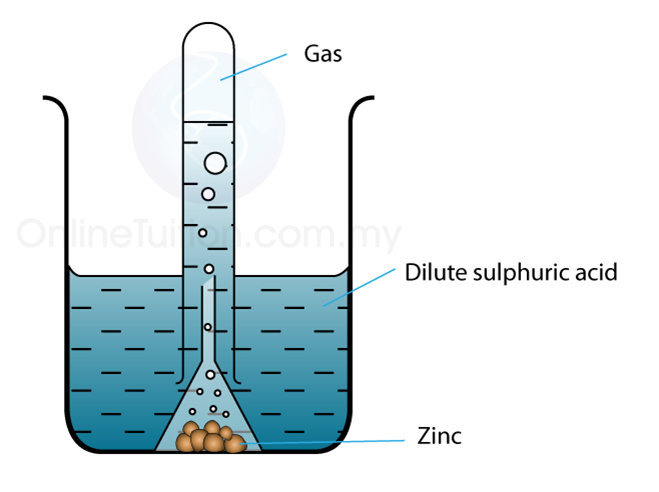 The figure shows the reaction between zinc and dilute sulphuric acid. What is the gas liberated? The correct answer is “A piece of iron is tempered to make a knife”.